Without Adequate Federal Funding, Will States Raise Their Own Gas Taxes? Connecticut state senators just voted to increase the state gas tax by three cents. The New Hampshire House Speaker has proposed cutting theirs by five cents – but only for two months, to help drivers bear the pain of high gas prices. In Georgia, the gas tax jumps every time gas prices go up by 25 cents. And at least one U.S. Senator is suggesting that more states start taking transportation funding into their own hands. 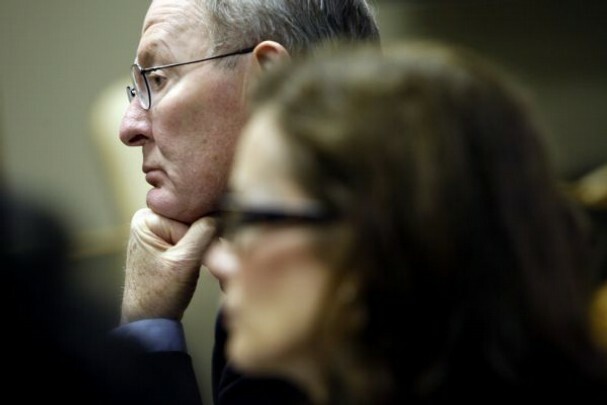 After a meeting with mayors in his home state of Tennessee, where he listened as area mayors expressed concerns about the federal budget, Republican Senator Lamar Alexander said, “State and local governments will have to decide whether to have an increase in the gasoline tax.” He delivered the bitter news to the mayors that they may be getting even less money from the federal government over the next few years. For many Republicans, that’s just as it should be. They think the federal bureaucracy is too big and more government functions should be left to the states. Alexander said that when he was governor in the eighties, he was able to fund and complete several state road projects without federal dollars. But the mayors he spoke to were concerned. According to the Commercial Appeal, they explained that most transportation projects get 80 percent of their funding from the feds with just a 20 percent local match. They count on those federal dollars. Alexander didn’t specify how much the state should raise the gas tax, but he indicated that tourists and truckers would “pay for a big share of it,” perhaps as a way to help local politicians sell the idea of a higher state gas tax to constituents. Tennessee has one of the lowest gas tax rates in the country, taking into consideration the fact that sales tax is exempted on gasoline. The state gas tax is 15 cents a gallon (on top of the federal levy of 18.4 cents) but drivers essentially get back two-thirds of that cost (10 cents) since gas is exempt from sales tax. Tennessee dedicates its entire gas tax to highway-building. Our national conversation about the gas tax is so impoverished, it just makes me shake my head. It’s as if climate change, the rapid aging of the population, the decline in driving, etc, etc aren’t happening at all. Raising gas taxes is antithetical to everything Americans hold dear. First off, it might discourage our populace from squandering the world’s oil supply at the fastest possible rate. As Americans, it’s our sacred job to squander the world oil’s supply. After all, if we don’t use all of it up now, some might be left for future generations to make essential plastics, operate heavy machinery, or some other frivolous purpose. Now, as our leaders like to tell us, we all know that the American way of life is non-negotiable. Since it’s imperative we cling to our current behavior patterns as long as possible no matter how inevitable future change is, it would be disastrous if people stopped buying 5000 lb cars and ceased driving them an hour each way to and from work. I shudder to think what might happen if people lived in smaller, more energy-efficient houses and condominiums within walking or biking distance of their jobs. Without spending a large portion of their waking adult life sitting sedentary in a car, the weight and blood pressure of the average American might lower and the entire population might breathe cleaner air. This might lead to lower national heath care costs and greater life satisfaction for everyone involved. So as we can see, the human cost of raising gas taxes is nearly unbearable to the imagination. Higher gas taxes might also make apparent the gross inefficiency of internal combustion engines to the point that people might contemplate acquiring a highly efficient electric engine. But efficiency would lower our rate of squandering, and since squandering is at the core of our way of life, efficiency is at best deeply unpatriotic and possibly even communist, socialist, and/or terrorist. Last but not least, gas taxes might reduce our rate of CO2 emissions into the atmosphere, just when we seemed to have gotten the knack of spitting the stuff out like crazy. How on earth can we expect future Canadians to wear shorts and flip-flops in the winter if we shirk on this responsibility? Since we already have plans in place to farm other planets when the earth can no longer produce enough food to support its population, backing off on CO2 emissions at this point is quite irresponsible. Plus, since the world has too many species, winnowing half of them into extinction is the human race’s obligation as the wise, foresighted species that we are. And just think, with less animals, there will be more room freeways! How horrible if polar bears prevented building a ten-lane trans-siberian super highway connecting all the lovely tropical regions of the great north. No, for the benefit of human health, happiness and the good of the planet, we not only should not raise gas taxes, we should subsidize oil companies and ethanol production so that all taxpayers, not only car drivers, contribute to keeping gas prices low. Anything else would be the equivalent of acknowledging that our current way of life cannot continue forever. I think it is very legitimate to question whether gas taxes should be raised by the federal government or whether it should be a decision at the state level. There are a lot of good arguments for why it should be at the state level. In fact, there are good reasons why some large municipalities, should have the option to levy and additional gas tax on top of the state. State gas taxes differ. The federal gas tax is 18.4 cents a gallon. Eliminate the federal gas tax and for every cent the fed tax is reduced, the states can raise theirs by that much. By eliminating federal revenue, the federal government can’t earmark or play with it, the way they always do. I say get rid of the federal Department of Transportation. There are some things that the federal sector can do such as regulate international commerce travel and the airlines and maritime shipping and such. But most of the transportation going on in the United States is very state and local stuff. We don’t need federal handouts to keep state roads maintained. Federal money can be allocated anywhere, and by getting rid of that federal revenue, we won’t have to worry about lucrative congressmen and their “roads to nowhere” or funneling for do nothing, over budget transit projects. The problem with federal transportation spending is that Congress has split federal funds into 40 or 50 pots of money and greatly restricted how state and local agencies can spend from each pot. If Congress puts out a pot of $10 billion or so that can only be spent on rail transit, requiring a city to analyze whether rail transit is the best of several alternatives will only insure that the analyses are warped. What if roads happen to be better. Congress should give state and local governments more flexibility in how to spend the money. Take the responsibilities for transportation and hand it over to the individual states and re-route the business related activities to the Department of Commerce the way it used to be. Why would the states be any better at this than the Federal government? Please give a real example and not a faith-statement in the power of devolving everything to the state level. If that had worked, we would have stayed under the Articles of Confederation. Seriously tho, this looks like another sign that the oil dependent system is faltering… What I don’t understand is how they can continue to build (and plan for) highway expansions when many states apparently don’t have enough to keep the ones they already have repaired. Or is this only a problem with poor states? Sen. Lamar Alexander makes a good point – he’s saying we are incapable in D.C of providing the funds you need – so you’ll have tor be more self-sufficient and raise your own gas taxes. Unfortunately, in CA due to the ridiculous 2/3 super-majority necessary to raise taxes and fees, we are as handicapped as D.C.! Come on really……………….We need heroes, visionaries, and wise people. We don’t need panic prone doomsday cheerleaders. All right Andy. A number of states have looked at privatizing major highways to fill budget holes and cover the expense of fixing other crumbling roads. In July of 2006, a private Australian-Spanish consortium took over the 157-mile highway, which runs east from Chicago to the Ohio border. The consortium will operate, maintain and collect tolls on the road for 75 years. In return, it gave Indiana a one-time, lump-sum payment of $3.8 billion. Since the hand-over, the private operator, the Indiana Toll Road Concession, has readied the installation of pay-without-stopping tolling technology and announced a $250 million expansion of the road’s western end. And the reason for the backlashing is the company that did it is a foreign company. We don’t want foreign companies owning our roads. Apparently, we’re afraid they might roll them up and take them away. With Government-run roads there’s limited incentive to treat the customer well. It’s not to say their totally incompetent. There is nothing wrong with government providing police, fire, sewers, city parks or roads; Still whats the harm in letting the private sector try. If they do it better, If they save tax payer money for better things. Due to the pursuit of profit from business they’ll work to reduce costs; The more riders they move across the roads in a given hour or day, the more money they make. They can’t afford traffic so they come up with solutions to mitigate. This will lead to more capital that goes into other things and we still get the roads Compare quality of the roads. Indiana has no prevailing wage laws unlike Michigan which requires a certain threshold for minimum bids on government contracts. You know why? Because then the unions who keep building terrible roads can compete with the lowest bids on non-union contractors. I’d rather buy a toll and pay a company to cruise on pavement that won’t destroy tires. If you do want safeguards to ensure competition. In California, there was a privately-owned set of toll lanes in the middle of a public freeway. The beauty of having states pay for their own roads is that those who refuse to cough up the money will reap the repercussions directly. If Tennessee wishes to have bad roads, they should be able to have bad roads. No one should impose good roads on them. But, you say, those freeloading bicycles use the roads! They should pay their fair share too! As should hybrids and electric cars! Okay, let’s consider what a fair VMT rate might be for a bicycle, a Prius, and a Hummer based on the damage their respective weights do to the roads. We could charge the bicycle 1/16th cent VMT per mile, although the money brought in would be so trivial as to hardly be worth collecting. Then, doing the calculations, we’d have to charge the Prius $62,500 per mile, and a Hummer $1 million per mile. If our road taxes were really proportional to damage inflicted, cars would get very light very fast and our roads would last forever. If the federal and state government would stop wasting billions of dollars on unnecessary pay increases, over indulgent benefits, and otherwise padding their own pockets… the taxes they collect now would be more than enough to cover America’s infrastructure. Every dollar we make is already heavily laden with taxes upon taxes, yet the government cannot stay in budget because of their wastefulness. When does it stop? How much can we really endure? I worked for a few years for one of the better run state DOT’s and how it worked is that Federal grants distorted priorities. Growth areas of the state that were gradually developing horrible traffic problems that would have benefited from modest improvements and retrofitting of bicycle and pedestrian facilities were neglected in favor of interstates. And we built interstate segments that had little traffic on them. Actually your calculations are a little off. When I did the comparitive damage assesment I used the Escalade and Smart ForTwo, which had a relative damage of 8000 bicycles for the Escalade and 1100 bicycles for the ForTwo. So assuming an average of 5000 miles for the bicycle, and 10000 miles for the cars (each) that would be $3.13 for the bicycle, $50,000 for the Escalade, and $6875 for the ForTwo, at your $0.000625/mile/bicycle unit of damage rate of payment. Lovellian Economics is an omnibus macroeconomic policy program represents the fruits of approximately 10 years of research and development that has culminated in separate submittals being made to the Government Accountability Office, Congressional Budget Office and Social Security Administration Actuary’s Office. In all three cases the agencies urged us to have a member of the Congress or Senate to submit a formal scoring request as the basic principles and means appeared to sustain the claims of the program author (Clinton E. Lovell). Lovellian Economics follows some of the same basic principles as the Austrian School, but includes a complete (audit ready) array of formal fiscal policies that focus on using the investment-income method of government funding to provide a fiscal appropriations process that is every bit as unlimited as is our government’s penchant for fiscal spending. 1. Commercial Banking Reform. A self-sustaining and self-regulating commercial banking system that will not crash, nor will it cause wealth to be unintentionally concentrated within a narrow band of stakeholders in the economy or require the continued support of taxpayers. 2. Central Banking Reform. A self-sustaining and self-regulating central banking system that cannot cause inflationary economic cycles, nor create any of the problems we see routinely expressed today with regards to problems facing credit allocation, the formation of capital and currency expansion. 3. Health Care Reform. A universal health care fiscal appropriations program that funds health care for all Americans that is both affordable, accountable and uses no tax dollars to sustain its operations. 4. Education Reform. A universal education benefit that covers all Americans and replaces the taxation system of financing in its entirety while providing true accountability at all levels of operations. 5. Social Security Reform. A universal funding program that fully funds all current law formulation benefits without any long-term naked deficits, increases outlays to the most at-risk households and provides a new system that replaces the current taxation model completely (no more mandatory contributions). 6. Housing Industry Reform. A new funding program approach that is more efficient and profitable for the financing of housing in the United States that eliminates the foreclosure risk the housing finance industry has had to bear, while providing a higher-yielding investment opportunity for the home buyer that is not based upon the subjective measures of credit (that have proved to be so unreliable) and focuses instead upon the income of the buyer and the income alone. 7. Capital Markets Reform. A new capital market exchange program that offers the investing-public the exact benefits it has been looking for but unable to achieve due to the inherent conflicts-of-interest and moral hazards the current stock exchanges require investors to sustain as the price of doing business. The new exchange insures every transaction against investment fraud, bankruptcy risk, foreclosure risk and total investment loss risk. The Lovellian model focuses on the use of logical economic arrays and a simple reorganization of the way free-market capitalism is undertaken with no untested components required to make it all work. Indeed, the key to understanding the Lovellian model is to understand that you would have everything you like about our current economic society plus all of these extra benefits reasonable people would agree as being highly desirable. All of these programs and concepts are already available as white papers that explain how these systems work, how the institutional organizational approach will provide the stated benefits as the usual and expected course of continuing operations of the economy (on all levels) and provide these benefits without the attending problems of fraud, waste and corruption that have permeated the current system and undermined public confidence in government. Our group would like to bring this program forward and into the limelight as part of the discussion of how we can end the fiscal nightmare without having to resort to crippling taxation or an economic recession of even greater impact than the one we currently find ourselves dealing with currently. To this end please request five Talking Points papers and five corresponding White Papers that explain the New Banking System, the Health Care entitlement program solution, the Education entitlement reform solution, Housing Plus finance reform and Social Security reform that you may wish to review and test.